CYPRESS, Calif. – September 14, 2011 – Yamaha Motor Corp., U.S.A., the world’s leading sport ATV manufacturer, is introducing a new YFZ450 with increased power and performance. 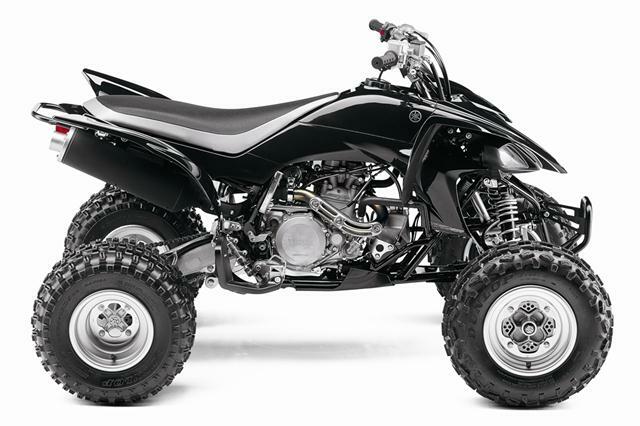 The 2012 YFZ450 is priced at $6,799 – approximately $200 less than the original YFZ in 2004 and more than $1,200 less than the closest competing 450cc model – making it the most affordable high-performance 450 ATV on the market today. The new YFZ features an updated 449cc liquid-cooled, double overhead cam four-stroke, five valve engine featuring 95mm bore and 63.4mm stroke. Yamaha engineers significantly increased the low- and mid-range power (compared with the previous 2009 YFZ450 model) by revising the cam profile and timing and developing new ignition mapping. The new larger 42mm Mikuni® BSR carburetor with throttle position sensor maintains the top-end performance while improving throttle response and significantly reducing throttle effort. The YFZ’s power is complemented by its light weight, compact steel frame with aluminum sub frame and its proven handling characteristics. The new YFZ with its rigid cast aluminum swingarm and aluminum upper A-arms help keep weight down while maintaining performance. The new KYB front shocks feature 9.1 inches of travel while the rear suspension system uses a piggyback Showa shock with 10.6 inches of travel. The new wheel was designed with the inner lip rolled in increasing rigidity and allowing a reduction in weight while maintaining strength, and the new Dunlop® tires (21x7R-10 in front and 20x10R-9 in back) were designed specifically for this YFZ. Twin hydraulic front brake calipers with 127mm discs and a hydraulic dual-piston caliper 173mm rear disc bring the stopping power. The 2012 YFZ also has a ratchet-type five-speed transmission and heavy-duty clutch adding to the machine’s improved comfort on long rides. The standard push-button electric start and Yamaha flip-style parking brake are added benefits. Its large capacity air box features no-tool access to the extra large oiled dual-foam filter for easy maintenance. The new YFZ450 will start arriving at Yamaha dealers by the end of September, and it launches into an immediate pool of parts and accessories – more than 90 GYTR® items from Yamaha and countless aftermarket products. Yamaha will also continue to offer the highest-performance, race-dominating YFZ450R for 2012, which was previously announced in June. A new black and yellow special edition has been announced for this fall. Yamaha Motor Corporation, U.S.A., (YMUS) a leader in the motorsports market, makes the toughest, most capable and versatile ATV and Side-by-Side vehicles. The company’s ever-expanding product offerings also include motorcycles, outboard motors, personal watercraft, snowmobiles, boats, outdoor power equipment, race kart engines, accessories, apparel and much more. YMUS products are sold through a nationwide network of dealers in the United States. ATVs with engines greater than 90cc are recommended for use only by riders age 16 years and older. Excellent post! Really loved it, havent seen an artice this good in a while. 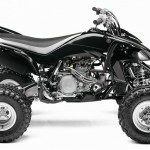 May 18, 2011 -- Yamaha Moving Majority of Worldwide ATV Manufacturing to U.S.A.
March 1, 2011 -- WOW, Free Gaphics from Yamaha!!!! !